A trio of dancers in LED costumes that use high speed `graphic poi' to dazzle their audiences. 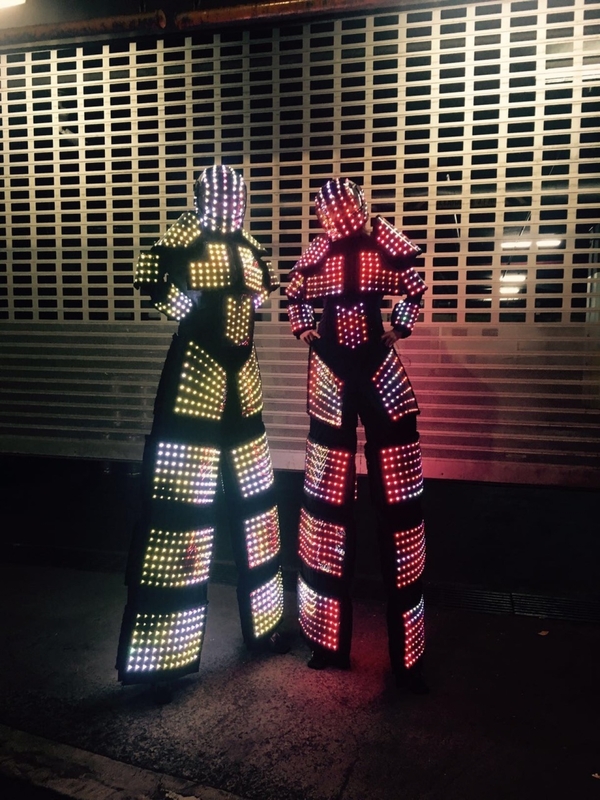 The music is powerful and Looking like they just stepped off the set of a sci-fi film, this pair of high-tech and futuristic stilt walkers are a new and innovative roaming entertainment concept. Standing more than 2.5m tall they tower above an audience and are visible from any distance. They act as guest magnets, drawing them into the event space.